Vines are interesting additions to home gardens, where they add color and dimension to walls, fences and other structures. Their rapid growth and spread make these plants quite vigorous, yet they literally cannot stand up on their own. However, vines have several characteristics that allow them to climb their way to success. By general definition, a vine is an herbaceous or nonwoody plant with thin stems that uses neighboring plants, rocks, trees, fences or other structures for physical support. These plants climb, creep and sprawl, often spreading out horizontally, as well as mounting vertically. Common examples of plants that meet the classic definition of a vine include members of the gourd (Cucurbitaceae) family and several flowering plants in the bindweed (Convolvulaceae) family, such as the annual morning glory (Ipomoea violacea). Despite their inability to support their own weight, vines have remarkable tensile strength. A resistance to pulling and breaking is one of the signature characteristics of vines. 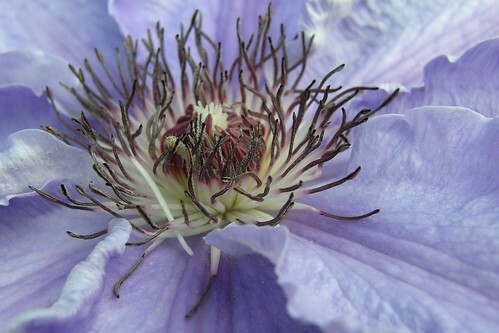 Clematis vines have twining leaves that permit them to climb. Not every type of vine fits into this definition neatly, however. Climbing plants known as lianas are considered vines but have woody, long stems. They specifically compete with trees for sunlight, water and soil nutrients. To succeed, they attach to trees via aerial shoots and climb up and out, forming a network of cablelike bridges from tree to tree in the forest canopy. The most vigorous lianas are found in tropical rain forests. Examples of more temperate North American species include grapes (Vitis spp. ), which are suitable for U.S. Department of Agricultural plant hardiness zones 2 through 10, depending on the species, and Virginia creeper (Parthenocissus quinquefolia), a native perennial also cultivated as an ornamental plant in USDA zones 3 through 10. 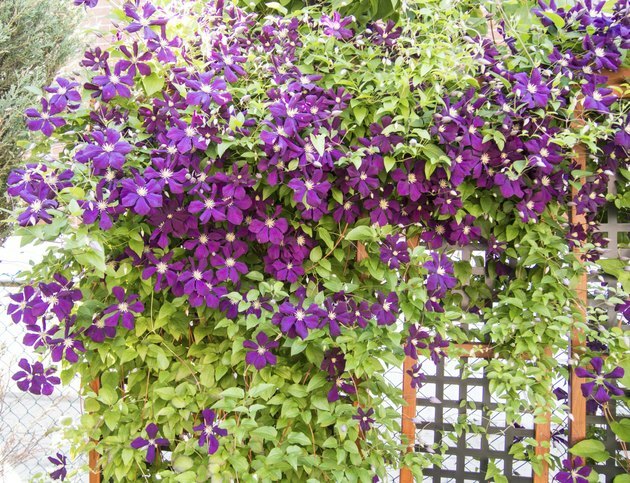 Some climbing plants seem to behave like and are often regarded as vines, but they are not true vines. Scramblers, such as various ornamental and fruit-bearing shrubs in the rose (Rosaceae) family, have long, branching stems with thorns that enable them to attach to and scale nearby structures. With the use of wire or twine, they can also be "trained" to climb a fence, trellis or garden wall. These plants are not technically vines even though they display a vinelike growth habit. Common greenbrier (Smilax rotundifolia), a woody vine native to eastern North America, also uses hooks and thorns to form dense thickets. Although this plant is considered a nuisance in the wild, it is also grown as an ornamental vine in USDA zones 4 through 9. In addition, the roots are used to make a beverage similar to root beer. Vines send out shoots that seek an object to attach to. Depending on the species, these exploratory shoots twist in a clockwise or counterclockwise motion in response to daily circadian rhythms. When viewed in a digital time-lapse video, it looks like the plant is tossing out a lasso. Once contact is made, a tendril shoot coils around the object in a touch-sensitive reaction called thigmotropism. The coiled tendril controls the amount of tension needed to stay attached to the object. Shoot growth is typically accelerated, but leaf growth is postponed until the relative stem has secured support. Vines, as well as lianas, have larger water-conducting vessels in their stems than those of many other plants, ensuring survival in times of drought. "Why won't pole beans and tomatoes climb up a lattice frame? Why won't sweet peas and clematis climb a pole?" Depending on species, vines use different methods to climbing and target supports accordingly. This is why annual pole beans (Phaseolus vulgaris) readily scale a pole but fail to attach to lattice work. Similarly, the clematis climbing vines (Clematis spp.) grown throughout USDA zones 4 through 9 gracefully climb a trellis placed against a wall but can't seem to find a vertical support like a pole. Some vines have tendrils that reach out for support and emerge from either a leaf node or a stem. For example, blue passionflower (Passiflora caerulea), hardy in USDA zones 9 to 11, has the latter. In contrast perennial sweet pea (Lathyrus latifolius), hardy in USDA zones 5 to 9, has leaf tendrils. Like tendril vines, twiners have either twining stems or twining leaves that twist around just about anything in its path. Vines with twining stems include poet's jasmine (Jasminum officinale), suited to USDA zones 6 through 9, and honeysuckle (Lonicera chrysantha), cultivated in USDA zones 3 through 7, while vines with twining leaves include the annual purple bell vine (Rhodochiton atrosanguineum). Plants that produce clusters of stem roots, also known as adventitious roots, use them to attach to trees, fences, creviced walls and buildings. Some vines capable of this maneuver include and climbing hydrangea (Hydrangea petiolaris), a popular perennial for USDA zones 4 through 9. What Is the Meaning of the Clematis? 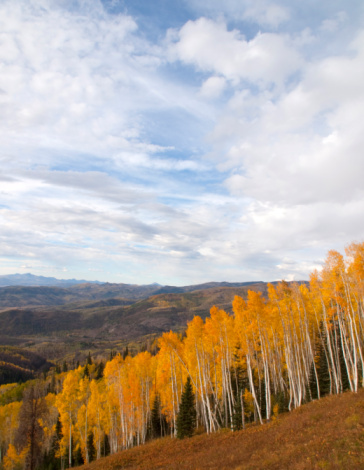 What are the Seven Characteristics of Plant Life?